When you gain admission to study any course in college or university, passion is a very essential ingredient if you are going to succeed in that course or career path. It is extremely important that you have passion for your course. Passion means enthusiasm, zeal. This is what will drive you to do your best and achieve the best fits in sch and even in your career when you graduate from school. First and foremost, you have to make a decision to study the course, I know you may not have chosen it and if not for conditions, you will not know that course "existed", but now you are here, give it the benefit of doubt. the the reason it seams like you hate it completely is because you have closed your heart to the possibility of doing or ever loving the course. open your heart, have an open mind towards the course and decided to try it out genuinely and you will love it. This is one of the most important things that will launch you into deep love for this course. Go on a deep research and study about this course. Ignorance is the highest cause of hatred and indifference. It is because you know nothing or little about this your discipline, that you do not seam you like it. Even if you think you know much, you will be surprised at how much more you will discover when you search deliberately. These information is invaluable, and they are very available on the way internet about any course, in books and magazines, in the library. With these knowledge at your disposal, you will realize how important your course is in the scheme of things and come to respect it haven also found out you you can succeed at it, make money and achieve your life goals. If you want to develop passion for agriculture, talk to an agriculturist. The mistake many make is going to drop outs and people who quit to talk to concerning a thing they want to do. From my these people you will only hear negativity and fear. Reasons why you should not waste you time and worse things. 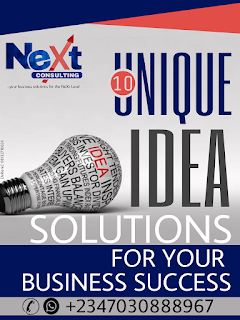 But from the successful you will hear possibilities, strategies and ideas for winning. They will clear your doubts and correct your misconceptions about the course . Find colleagues who have gone ahead of you, ones still in school and ones who have graduated and are plying the trade, doing well at it. Let those ones become your role models. Identify and connect with them. As they are higher than you, it will take you some work to get them to be friends or mentors but do that work, you are guaranteeing your success. Just talking with them with entirely change your concept and orientation about that field. Even a field you do not want to the enter, by just clicking talking to a passionate person in that field you might just be converted. Passion is contagious and encounter with passionate people do light you up with passion. And passionate people are usually or eventually successful people. Small successes culminate into passion and love, these leads to much hardwork and greater success. Seek to achieve some success is n your course of study ,success is addictive. with some of it and the honour that comes with it, you will become more ambitious and would love to achieve even more. Do not let lack of initial passion make you start failing in that course at first. Decide to pass all you beginning Examinations and tests very well. This will drive you to higher exploits,. You would hardly want to quit at something you are doing well at. So, that initial decision to succeed and the effort to do well will reward you with more passion. And with more passion comes more success and the cycle continues. See you at the top.